The UK’s leading youth charity, The Duke of Edinburgh’s Award (DofE), has launched a new Strategic Partnership with St. James’s Place Wealth Management (SJP) to inspire, guide and support more young people to do their DofE and improve their life chances. In 2018, SJP will support the DofE in its mission to reach and help more young people from all backgrounds. This partnership will help to fuel the DofE Charity’s ambition to reach 350,000 young people per year by 2021, including 70,000 from disadvantage backgrounds. The Strategic Partnership will see SJP’s apprentices under the age of 25 given the opportunity to do their Gold DofE alongside their formal training. 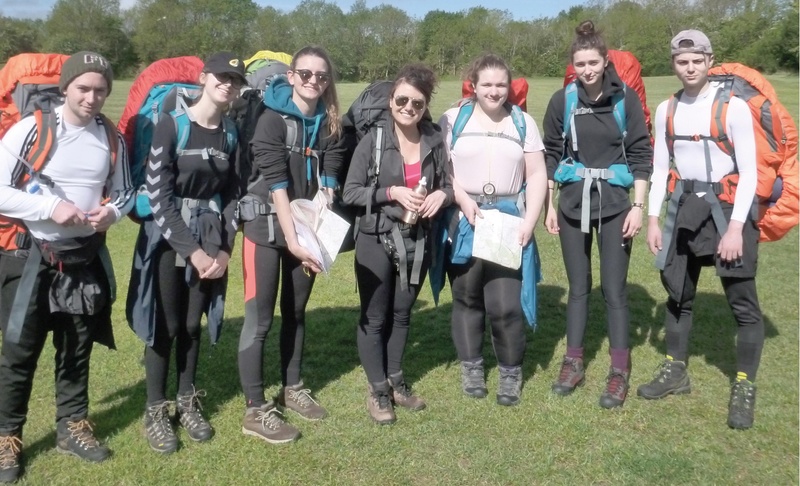 To achieve their DofE, apprentices will complete five challenging sections – Volunteering, Physical, Skills, Expedition and Residential – over at least 18 months, with a focus on developing valuable work skills such as team-working, resilience, and good communication. The DofE and SJP will work together to inspire more young people to complete their DofE, profiling career opportunities available to young people and the value employers place on candidates who demonstrate skills fostered by achieving an Award. St. James’s Place joins a small group of Strategic Partners including Amey, British Gas and Heathrow – businesses that endorse the skills young people develop by doing the DofE, and who back the DofE’s vision of equipping all young people to succeed in life, regardless of background or circumstance.